JARDIN is located at 966, 968 DUNEARN ROAD in district 21 (Clementi, Upper Bukit Timah) of Singapore. JARDIN is a Freehold Condo development consisting of 140 units. JARDIN is completed / TOP in 2012 (estimated), developed by YHS DUNEARN PTE LTD, FAR EAST ORGANIZATION. Educational institutions like THE SWISS SCHOOL SINGAPORE, HOLLANDSE SCHOOL, SINGAPORE KOREAN INTERNATIONAL SCHOOL, PEI HWA PRESBYTERIAN PRIMARY SCHOOL, METHODIST GIRLS' SCHOOL (PRIMARY) and BUKIT TIMAH PRIMARY SCHOOL are near to JARDIN. JARDIN is accessible via nearby KING ALBERT PARK, BEAUTY WORLD and SIXTH AVENUE MRT Stations. Absolute gorgeous development! one of a kind and the very rare few new duplex/loft around the district. The pool is stunning with the views. The nature reserve is your backyard. Good for family, access to good school and institutions. Well known Bukit Timah district and neighborhood. Luxury living, convenience and lifestyle are all rolled into one. 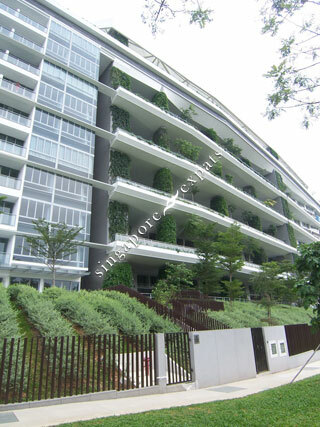 Excellent Accessibility to MRT, School, International School and Orchard.